Looking good often comes with a price. Any woman who has ever sighed with joy just to take off her high heels knows how hard it is to be female. Get these stylish Timberland PRO 53359 Women's 6-Inch Alloy Toe Waterproof EH Work Boots, and put the comfort back into ... (see full details) (see specifications) #TMBTB053359242. Looking good often comes with a price. Any woman who has ever sighed with joy just to take off her high heels knows how hard it is to be female. Get these stylish Timberland PRO 53359 Women's 6-Inch Alloy Toe Waterproof EH Work Boots, and put the comfort back into your closet. This design features durable safety toe protection, along with waterproof coverage to keep your feet safe and dry at your workplace. The Timberland PRO rubber, dual-density, non-marking outsoles, two layers of lightweight bounce with TiTAN sole construction, slip-resistant for your safety, oil-resistant add durability to these brown waterproof Timberland PRO boots. The lightweight alloy safety toe caps have ASTM F2412-11 and ASTM F2413-11 ratings for your protection. Best of all, these antimicrobial brown leather boots are electrical hazard certified (meeting ASTM F2412-11, ASTM F2413-11, and ASTM F2892-11 ratings). This sturdy pair of TiTAN waterproof boots provides secondary underfoot protection against the hazards of stepping on live electrical circuits, electrically energized conductors, parts, or another apparatus. Why not play it safe while you're looking fashionable in these EH boots? These alloy toe EH boots are made with dark brown leather in natural full-grain looks great, and it's built for breathable comfort for the gal on the go. The waterproof leather and water-resistant membrane keeps moisture where it belongs - outside of your safety toe shoes. Timberland's TiTAN last construction is specially designed for a superior fit and long-wearing comfort. This is one of Timberland's lightest TiTAN boots, and this pair features contoured open-cell polyurethane footbeds with Outlast® Adaptive Comfort® technology for breathable comfort and drier feet. Nylon diffusion shanks add torsional rigidity to your steps to give your arches the necessary reinforcement from underneath. It's what's on the inside that matters most, especially when it comes to reliable women's work boots. These Timberland PRO boots are lined with mesh comfort lining with integral antimicrobial treatment for odor control and drier, happier feet. Molded polyurethane midsole provides lightweight, durable cushioning to your feet as well, with enhanced stability to make your steps more pleasant. Cement construction was used to make this women's footwear for increased flexibility and reduced break-in time. This design also includes top collar to increase your comfort. With their superior waterproof protection to make sure your work socks are soggy, and their rugged and lightweight alloy safety toe caps to guard your toes against workplace hazards, this durable women's EH alloy safety toe footwear is up for the task. Wear these Timberland PRO 53359 Women's Waterproof Alloy Toe Slip-Resistant Boots, and remember what woman's footwear is supposed to be like. 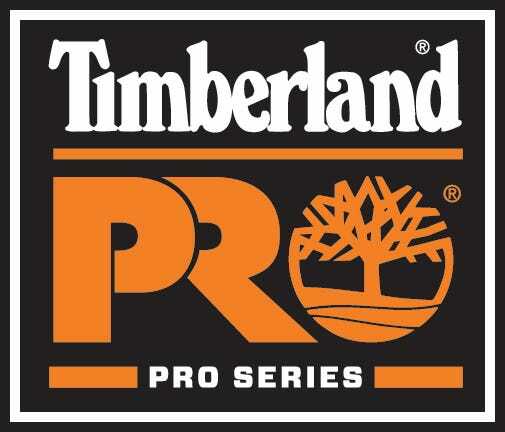 Order your Timberland PRO women's footwear from Working Person's Store today! The only downfall to this product is that it was not made in the USA!! I got these last December and have been in love with them ever since! I have picky feet. Prone to blisters and joint pains. But not in these! They are so comfortable that I don't even think about taking them off when I come inside unless they are covered in mud and debris. Until my feet get too hot! I've used them around construction sites and they've been great. No binding when squatting, my feet don't fall asleep when kneeling for long periods. Non marking on new wood floors. Great traction until you get into snow. The tread is built for rain, not snow! Light weight and not clumpy. No break in time. Still going strong after 1 year! I absolutely LOVE these boots!!!! I have to wear steel toe boots for work when I'm out in the field and these boots are actually warm and comfortable! Another big plus especially since I bought them on the web, these boots actually do fit to size. I highly recommend these boots to anyone! I have been in the construction field for 15 years and through several pairs of boots. These are OUTSTANDING in every way. You will not be sorry you made this purchase. I never thought I would find a pair of comfortable steel toed work boots. I am getting ready to purchase a second pair. I highly recommend Timberland PRO Boots. Everything in the description is true! Timberland PRO Boots: Women's TiTAN 53359 Brown Alloy Toe Waterproof EH Boots is being added to your cart.